Siri will be a lot more useful in the next version of iOS. The iPhone voice assistant will work with and control many non-Apple apps, get improved voice search and will even be baked into your MacBook or iMac. 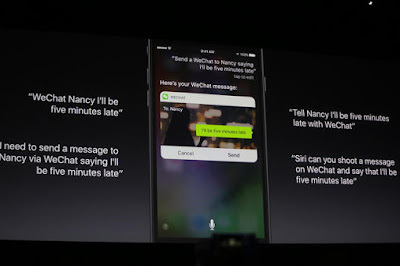 Siri will also have more predictive features, so you get the info you need without having to ask for it first. Here are all the ways you can talk to Siri in iOS 10. If you haven't already, sign up for the beta that comes out in July to start using these features before the official launch. Currently, the list of third-party apps that you can control through Siri is short, such as Twitter or Facebook. However, Apple is opening up Siri to third-party developers, meaning you might have access to Spotify or Evernote through Siri. A nice example of how this could be very helpful is sending cash to someone using the Square Cash app. It would go something like this: "Hey Siri, pay Sharon 10 dollars with Square Cash." This is a much faster and easier exchange than thumbing through the Square Cash app, selecting the person to send the money to and setting the dollar amount. And the same is true of any other Siri integration -- the idea is to keep you out of apps as much as possible. You'll also be able to call for an Uber or Lyft without ever needing to go into the app. Just queue up Siri and say, "Order a Lyft" or "Order me an Uber." This applies to any company that adds support for Siri, such as Dominos. You could say, "Order me a pizza from Dominos." "Tell Melissa I'll be there in 5 minutes with WhatsApp." "Send a WeChat to John saying 'Are we still on for tomorrow?'" "Let John know I'm running a few minutes late in Skype." The intelligence of Siri will also be available from your keyboard in iOS 10. What that means is Siri will parse your conversations in Messages to offer up contextual input when, say, you go to enter a calendar entry. Or if the person you are talking to asks for someone's email address, Siri might automatically suggest it so you don't have to go look it up. This means the way you interact with Siri is getting a little more hands-off. It's working in the background, and you don't need to physically queue up the voice assistant to get suggestions. Siri is pretty great on Apple TV. It makes navigating and jumping to what you want quicker and easier than navigating with the trackpad on the included Apple TV remote. However, if you want to search something like YouTube, you have to open the YouTube app, scroll over to the Search tab, and press and hold the Siri button to dictate. With the next update to Apple TV (later this month, according to Apple), you will be able to search YouTube from anywhere Siri is available. Just hold the Siri button and say, "Search YouTube for cat videos" or "Search Isaac Neill on YouTube." The best part is that you will also be able to do this from your iPhone. Siri support is coming to the iOS Remote application this fall. There are many applications on Apple TV that allow you to watch live television, like CBS, FXNow, Discovery GO, and so on. And like with YouTube search on Apple TV, you have to open each individual application and locate the option to launch live TV. After the update, however, you can simply say, "Watch ESPN" or "Watch CBS" to jump straight to the live feed of a channel. 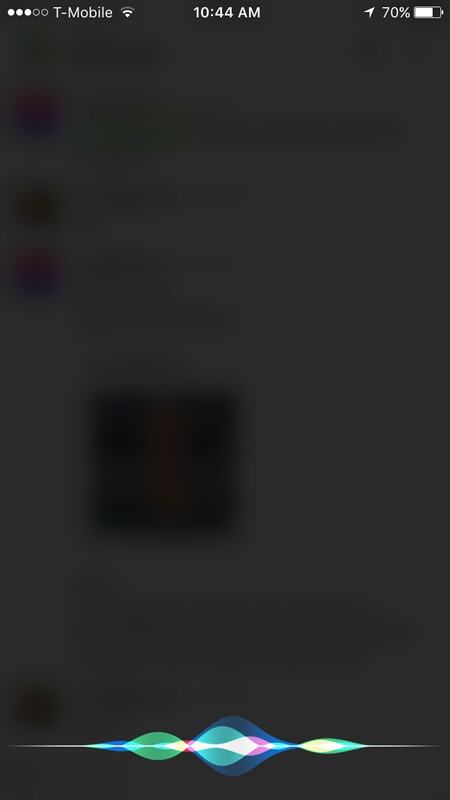 Siri also cannot search for certain types of movies currently. You can search for a genre, actor, title, director or decade, etc. That said, if you want a movie or show about something specific, such as baseball or hiking, Siri can't help. After the update, you will be able to get more specific with your searches by saying, "Show me movies about technology" or "Find high school comedies from the '80s." 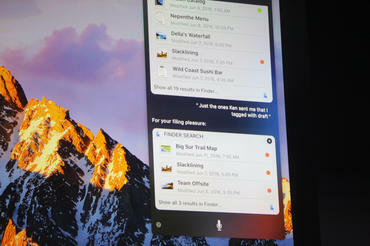 Siri is also coming to the Mac. It will live in the menu bar, and you will be able to call upon it for any of the normal tasks you're used to, such as movie times, messaging and calling people, setting reminders or toggling settings like Bluetooth and Wi-Fi. 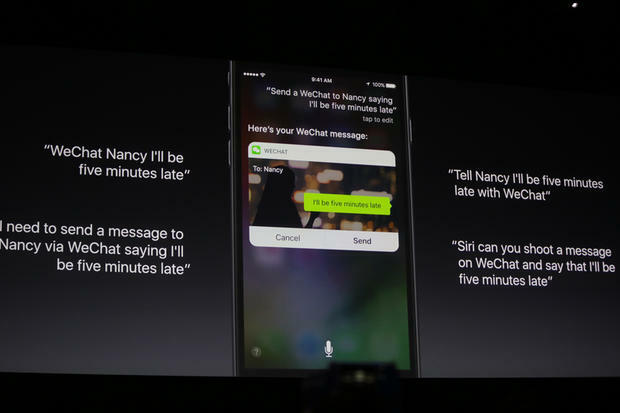 All of the newer Siri features will be available to you, as well. And you will be able to search for files using Siri. For example, you will be able to say, "Show me that spreadsheet I was working on last night" or "Find photos I took last week." On the Mac, at least, Siri is set up to be a productivity machine. If you need to search for a specific document, you can. But you can also drag and drop items from Siri search results into documents you're working on, or pin certain results in Notification Center for future reference. Again, these updates are less about queuing up Siri in the moment, and more about making Siri more useful in more places, and Siri on the Mac makes a ton of sense. What isn't clear at this time is whether Siri will have a hotkey or button combination. It's very likely, but still an unknown. With HomeKit, Apple added the ability to control any compatible smart home devices using Siri. However, these commands are currently limited to iPads, iPhones, iPods and Apple Watches. The Apple TV can work as a remote hub for HomeKit, so you can control your compatible smart home devices from virtually anywhere using Siri. But if you tried to issue the same commands to Siri on your fourth-generation Apple TV, you would be met with a response that reads, "Sorry, I can't help you with HomeKit here." Apple is taking the steps to unify the Siri experience across all its devices. With the next round of updates, you will be able to control all of your HomeKit devices from Siri on the Apple TV and Mac. Just say, "Turn on the lights" or "Lock the front door" from any of your Siri-enabled Apple devices. Siri for CarPlay is arguably the most useful implementation of the voice assistant. From your car, you can currently queue up Siri with a button on the steering wheel and issue commands to it just as you would from your phone or Mac. You can ask for directions to a location, send a message to your friend or even create reminders and calendar entries. However, with the coming updates, CarPlay will receive all the same Siri updates as the other devices. 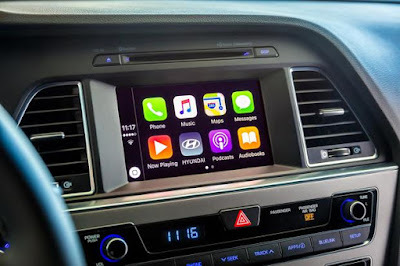 What that means is third-party support, putting some of the control of CarPlay into the hands of the car manufacturers. In other words, you will be able adjust climate control and tune the radio with your voice, among other things, such as playing music with Spotify or sending a message through WhatsApp.